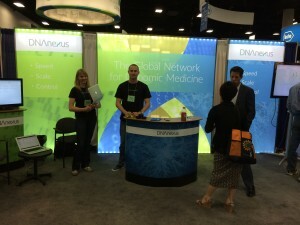 Last week, we had the pleasure of attending ASHG in sunny San Diego. This year’s meeting brought together over 8,000 people focused on human genetics, making it the largest meeting of its kind. This year’s talks were great and we were especially excited about the focus on big genomic datasets. One of the more interesting presentations was by Daniel MacArthur of MGH who discussed the release of data from the 63,000 exome project. These data are available in an open source database and will provide a valuable new resource for researchers looking at variation. Other work from MacArthur’s lab was also presented, notably, Konrad Karczewski’s talk on the human knockout project, which is focused on finding loss-of-function variants in humans. We, of course, are always interested to hear about new large-scale projects and what researchers are doing with bigger and bigger datasets. From our booth on the show floor we talked to many researchers who are struggling to manage larger and larger datasets and are looking for solutions that allow them to decrease the time they are spending on infrastructure so that they can focus more on their science. We were also pleased to host a panel moderated by our very own David Shawitz who led a discussion with David Carey (Geisinger Health System), Jeffrey Reid (Regeneron Genetics Center), Marylyn Ritchie (Penn State), and William Salerno (Baylor College of Medicine). The lively discussion covered the new bottleneck in genomics created by the colliding rich datasets (e.g. NGS data with phenotypic data). While we have moved beyond the challenges of reading, storing and processing DNA sequencing data, we have entered a new phase where the next wave of advancements will come from projects where diverse sources of data are integrated and interrogated collectively. This is always a great meeting and we at DNAnexus are already looking forward to Baltimore next year. We want to thank everyone who made our experience at ASHG so rewarding, including all the scientists who stopped by our booth to learn more about our cloud-based genome informatics and data management platform. 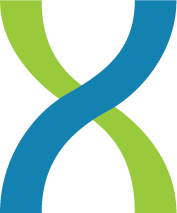 If you missed ASHG or have questions, learn more here (and here: GigaOm and GenomeWeb) about how DNAnexus is powering the first cloud-based genome center to integrate next generation sequencing with de-identified clinical records. To learn about other events we are attending, please visit our events page.